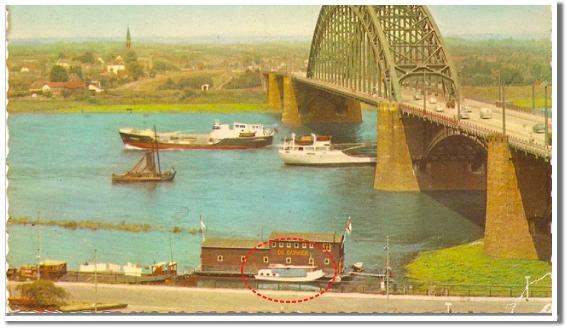 If you look closely at this old postcard of my hometown Nijmegen, you'll see our Engelenbak docked in the foreground of the photo, in front of the old Yacht Club, de Batevier. Even more notable, this postcard depicts the famous Nijmegen Bridge, which crosses the Waal River and was secured by Allies following an intense struggle and many casualties, as part of Operation Market Garden, a failed allied military operation during WWII. 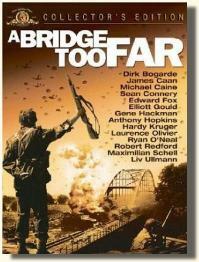 This bridge was also featured prominently in the 1977 epic war film, A Bridge Too Far, which dramatized Montgomery's failed operation to get to Arnhem and featured a stellar cast including Sean Connery, Michael Caine, Elliott Gould, Gene Hackman, Anthony Hopkins, Laurence Olivier, Robert Redford, Ryan O'Neal and Liv Ullman, to name a few. Return to History of Engelenbak. View the trailer of this classic film with a stellar cast.